Dodgers option Brock Stewart to Double-A Tulsa, recall Kenta Maeda. The Dodgers optioned Brock Stewart to Double-A Tulsa to make room for Kenta Maeda, tonight’s starting pitcher, on the 25-man roster. The Tulsa Drillers’ season ends Sept. 5 — a week from today — so Stewart will be eligible to rejoin the Dodgers after that day. Stewart pitched the best game of his brief major league career Sunday at Dodger Stadium, pitching five scoreless innings in a 1-0 win over the Chicago Cubs. 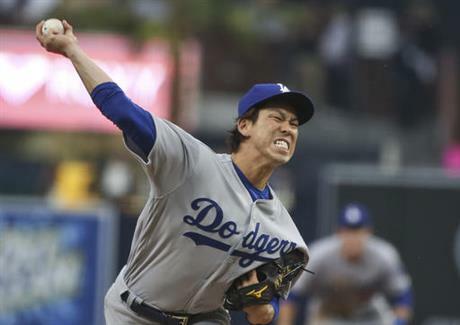 This entry was posted in JP on the Dodgers and tagged Brock Stewart, Kenta Maeda by J.P. Hoornstra. Bookmark the permalink.